Not only does no other religion in Turkey, other than Islam, have the power, influence or financing of the Religious Affairs Directorate (Diyanet) -- whose budget even surpasses that of most ministries; other religions are either not officially recognized (as in the cases of Alevism and Yazidism), or are on the verge of complete governmental elimination -- as in the cases of Judaism, Greek Orthodoxy, Assyrian (Syriac) and Armenian Christianity. To be effective, however, policies safeguarding religious liberty must include conducting an honest and open discussion of the history and doctrine of Islam, as well as its contemporary iteration, not as a "religion of peace" -- which, in Islam, is to occur only after the entire world has accepted Allah, as well as Islamic law, Sharia -- but as one of war and terror. The debate over whether Islam has been hijacked by fundamentalists -- or whether the religion itself preaches the kind of hatred that leads to terrorism -- has been raging since the 9/11/2001 attacks on the United States. Although this issue has not been resolved, one thing is clear: in the Muslim world, the demonization of Jews and Christians is commonplace. Take Turkey, for example, where anti-Semitism has been exhibited publicly for decades by prominent members of government, the religious establishment and the media. In June this year, the head of the government's Religious Affairs Directorate -- the "Diyanet" -- joined the chorus. 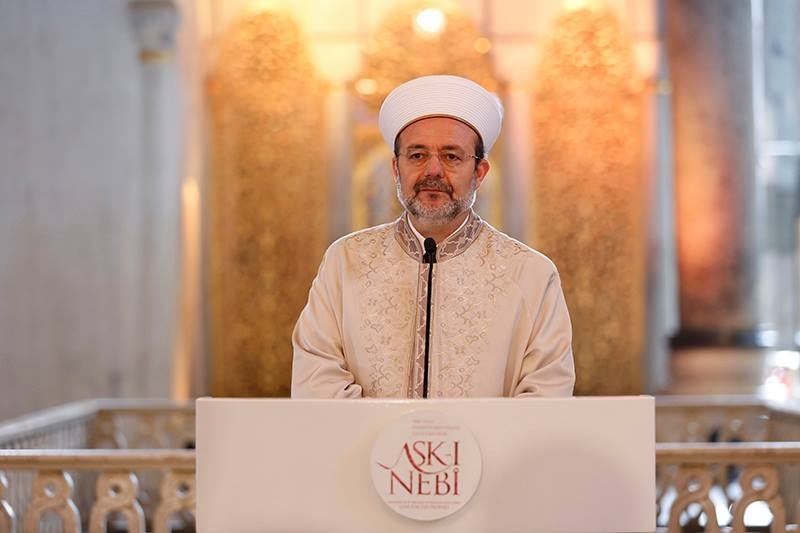 In a speech he delivered in Gaziantep -- a transcript of which was posted on the Diyanet's official Twitter account -- Prof. Dr. Mehmet Görmez announced that Islam was brought to the world by Allah to correct the "distortions" of Judaism and Christianity. At the center of Judaism, he said, was "material, money and wealth." Christianity, he asserted, took the opposite, albeit equally "wrong," interpretation of the divine, as it "came up with an understanding that denigrated the world and deemed property and wealth almost forbidden [haram]." "[M]ak[ing] decisions, shar[ing] views and answer[ing] questions on religious matters by taking into consideration the fundamental source texts and methodology, and historical experience of the Islamic religion as well as current demands and needs." Not only does no other religion in Turkey, other than Islam, have the power, influence or financing of the Diyanet -- whose budget surpasses that of most ministries; other religions are either not officially recognized (as in the cases of Alevism and Yazidism), or are on the verge of complete governmental elimination -- as in the cases of Judaism, Greek Orthodoxy, and Assyrian (Syriac) and Armenian Christianity. Turkey is not alone in this practice, which brings us back to the question of why "Muslims hate Jews so much." According to Andrew Bostom, author of The Legacy of Islamic Antisemitism: From Sacred Texts to Solemn History, the answer lies in the Koran, whose "central anti-Jewish motif... is found in verse 2:61 , repeated at verse 3:112." "This is where the Jews are accused of slaying the Prophets and transgressing against the will of Allah, and so they are condemned and cursed eternally. Verse 2.61 says 'shame and misery' are 'stamped upon them.' And this verse is coupled to verses like 5:60, and other verses about the Jews being transformed into apes and pigs, which is part of their curse. Verse 5:78 describes the curse upon the Jews by David and Jesus, Mary's son. There is a related verse, 5:64, which accuses the Jews of being spreaders of war and corruption, a sort of ancient antecedent of The Protocols of the Elders of Zion. (Palestinian Authority President Mahmud Abbas cited this verse during a diatribe against the Jews of Israel, in 2007.) More generally, the Koran's overall discussion of the Jews is marked by a litany of their sins and punishments, as if part of a divine indictment, conviction, and punishment process." "basic attitude is that all history is in fact Islamic history...that all major figures of history basically are Muslim − from Adam down to our own time. So, if the Jews or Christians are demanding something and basing it on the fact that there was a king called Solomon or a king called David, or a prophet called Moses or Jesus, they say something which is not true or, in fact, they don't know that all these figures were basically Muslim figures." "In fact, since the creation of the world there is only one religion and it is the religion of Islam. So, if anybody says 'Look, there is a place connected with Solomon and that is the place where the Temple of Solomon stood,' a true Muslim would tell you: 'Yes, you're absolutely right. But don't forget that Solomon was a Muslim and David was a Muslim. And Abraham was a Muslim. And Isaac was a Muslim, and Jesus was a Muslim.' This is what they mean by the Islamization of history." "Anywhere which was connected with these people or with these prophets who were all Muslims becomes a Muslim territory. And therefore, when Islam was not in that area before Mohammed came to it, it should have been there. By that area, I mean the Middle East or other parts outside of the Middle East which are now Muslim. So any place like this had to be freed, not to be conquered. They had to be liberated. So, Islam appeared in history in the time of Mohammed -- or reappeared in history from their point of view -- as a liberator. And therefore, there is no Islamic occupation. If somebody occupies anything, it will always be somebody else, not the Muslims. So, there is no Islamic occupation. There is only Islamic liberation." This combination of hate-filled Koranic verses, as highlighted by Bostom, and revisionist Islamist history, as illustrated by Sharon, have created a monster in the form of an existential threat to the Judeo-Christian world. To counter it, the West needs to implement unapologetic policies to safeguard the religious liberty of both non-Muslims and non-extremist Muslims, wherever they reside. 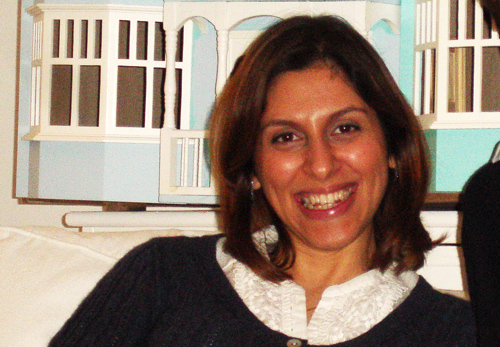 To be effective, however, these policies must include conducting an honest and open discussion of the history and doctrine of Islam, as well as its contemporary iteration, not as a "religion of peace" – which, in Islam, is to occur only after the entire world has accepted Allah as well as Islamic law, Sharia -- but as one of war and terror. Islam holds that all previous revelations by Allah to other prophets failed or were distorted by Satan. Satan had a 100% success rate, until the Prophet Muhammad! That implies that Muhammad was more successful/better/more holy? than Abraham, Moses, Noah and Christ! The Prophet Muhammad never said that and I believe that he would not put himself above Abraham/Ibrahim) or the others. In the Hadith he was clearly concerned about his message succeeding. Logically, he must have failed also in delivering the true or the complete true message. I must continue to beat this drum - that President Trump must sign Congressional legislation declaring Islam an ideology of death and not a religion, thereby stripping these anti-civilization lying haters/killers of their false First Amendment Constitutional protections. If that is not done, there will come a day when you will be forced to your knees to renounce Jesus Christ (Yeshua Ha'Meschiach) and swear allegiance to Allah, or have your head cut off. But then...my comments are not very loving and kind and politically correct, and the rest of that BS. India, a Hindu nation has some 155 million Muslims besides a number of Islamic countries around. India has been fighting Islamic extremism for 1000 years and lost huge chunks of territory to Islamists which are now known as Afghanistan Pakistan Bangladesh and Kashmir. India has been all alone in this fight with no one to help her including the West which hates her for her idolatrous ways. Though of all Asia India shares a lot in common with the West including a common linguistic affinity (Indo-European family) humanism democratic values and free speech she has been as much an object of hatred in the West as Islam. So India had long stopped looking for anyone's help in this battle and learnt to fend for herself. Now the world fears Islamists. But Islamists are afraid of India. good luck with that discussion; the left and pious muslims will use lawfare on U to shut U up, and if that doesn't work and your arguments become persuasive enough, pious muslims will hunt U down and kill U. free speech is only for those who agree with the left, and once muslims take over, there won't be any such silly thing. An existential threat to the Judeo-Christian world exists but the leaders of that world don't want to hear of it or just don't care. They are willing to surrender Western culture and democracy to "moderate Muslims" except that there is no where in the world where "Moderate Islam" exists. Within one or two generations Europe will become Muslim and North America will follow in the same path unless their leaders change their views on importing the problems of the Middle East to our shores. Amazing rationale! Or lack thereof! Thanks Mr. Bulut and Gatestone for further edification regarding this extremely 'retrograde and violent' ideology of conquest. Winston Churchill told us all we ever needed to know about Islam when he wrote in 'The River Wars' in 1898 "No stronger retrograde force exists in the world than Islam." For much of the 20th Century this truth mattered little as Islam remained pretty much a backward ideology even as its population grew. Then, the West's unbridled thirst for Arab oil gave Islam the financial means to reboot their long quiescent designs of conquest and terror, and the world has been on fire ever since. 9-11-2001 should have been a wake-up call at least the equivalent of Churchill's truthful admonition 103 years earlier, but our feckless leadership did not take this disaster seriously enough. All it would take to turn off the Jihad is 'BOYCOTT ARAB OIL'! Without the West's petro dollars, Islam is unsustainable and would soon go back to sleep again. There is enough oil in non Islamic countries to supply the Free World. Such a boycott would take real leadership which neither Bush nor Obama were capable of supplying. But DJT is a leader who sees this 'Long War' for what it is, more economic than military and opening up US energy production to 'All of the Above' and Drill Baby Drill' is a policy whose time is way over due! We can rescue the EU and Western Civilization from it's self inflicted suicide pact, put Islam back to sleep and MAGA, by simply taking the handcuffs off our energy policy! Let's just do it! And with native Britons being arrested for quoting Churchill in public we can see where the loyalties of the authorities there lie. The curious threat of non-extremist Muslims. On the one hand I admire this article for directly facing the issue whether it is Islam itself (and not merely some fundamentalist or 'warped' version of the religion) that is the problem. It's a powerful description of the totalitarian thoughts of supremacist Islamic clerics and government officials, which have a dangerous allure to susceptible minds and to so many people raised on them from the cradle. On the other hand, talking about preserving the "religious liberty of non-extremist Muslims" sounds deeply oxymoronic. If "non-extremist Muslims" are faced with the existential crisis that they cannot be the decent people they are AND Good Muslims at the same time, why is it anybody else's duty to help them avoid that crisis? Without in any way intending to, it may be that "non-extremist Muslims" contribute to the ongoing confusion of the West being unable to mobilize itself clearly and consistently against the militant ideological and terrorist aggression of Islam, in significant part because many people, especially in our elites, know "non-extremist Muslims" and limit their frank discussion of the true nature of Islam because they don't want to offend their non-extremist Muslim friends. Without suggesting that non-extremist Muslims should be intellectually attacked or directly urged to convert or leave Islam, straight talk about the religion should not be curbed for fear of making them uncomfortable. Turkey, under the rule of a psychopath, forcing Islamization down the throat of all of its citizens, will eventually be cut off from the rest of the western world. Erdogan will eventually be tossed aside to the garbage heap of history but not before he has done everything to ruin the lives of millions, not only in Turkey, but to other countries that he is trying export his venom. If he didn't have the backing of the poor, whom have little education, he would not be in power. A call to prayer, as he calls it, five times a day, keeps everyone under his power. He absolutely loathes people who think for themselves. Lightning, in some form, eventually rids itself of Hitlerlites like him, unfortunately, usually by age. He must, twenty four hours a day, have protection. Sooner or later a few who protect him will turn on him, to be the next Erdogan or maybe, just maybe, will be on the side of all the people to serve them with respect. An idea that I like; do not use his name. In the future call him "that guy" which will give him irrelevance and possibly cause him to walk in constant egocentric circles. It is interesting and amazing that a religion that did not exist before 600 AD, and founded by an illiterate, though charismatic warlord slave owner, could have followers so bereft of analytical and critical thought that they would invent the patently absurd "Islamization of History and Geography". The Islamic "liberation" can be defined as "Existential Enslavement". The early and most coherent verses in the Koran were from the Jewish Torah. There is no real debate about the nature of Islam, has it been "hi-jacked?" etc; there is merely a self deceiving concoction of Western liberal lies and deception about an Islam that doesn't exist, never did exist and never will exist. All the while the Muslim world laughs at this pathetic and cowardly dhimmi surrender to Muslim violence. Islamic spokesmen and apologists are more than happy to smilingly indulge the Western establishments in this self induced enthrallment to a fantasy Islam. It is an example of self delusion without parallel, especially so as the truth about the nature, operation and goals of Islam are not in any way a secret and can be easily ascertained. But Western leaders refuse to believe the evidence of not only the written and spoken word but also their own experience of Islamic doctrine in action. What do these "non extremist" Muslims believe? No one really knows. No Muslim regards Islam as extreme, it is what it is; one follows it or becomes apostate, an outcast and a friend of the infidel and worthy of the same fate as the infidel. What debate can there be about Islam? You're right, Islam hasn't been hijacked. Islam is the hijacker and unfortunately its leaders are conning the majority of the west and Erdogan and his ilk seem to have Europe acting as if they have already thrown in the towel. Denial of reality and living in a fantasy world are mental health issues called psychosis. Spiritually, Muslims seem to suffer from varying degrees from demonic possession/oppression. It is truly evil. Either way, Christians are in a world of hurt and it will only get worse as long as they refuse to confront this global evil and its immediate threat to Western Civilization. However, having embraced cultural Marxism with all its perversions, it will be difficult for many to return to their Christian roots and rules. I have noticed (via at least one scholarly guest lecture) in the form of intellectual games played and statistics twisted in humanizing Islam through inappropriate and exaggerated comparisons describing the treatment of Jews in Islamic history vs Christian history. Islam is made to appear humane and righteous. The comparison is ridiculous because when you use horrible pogroms and the Holocaust to compare with how Islam treats all Jews - past and present (and now Israel) - you are comparing two unacceptable ways to subjugate and mass murder Jews - one no better than the other despite the recent whitewash operation of scholars. The truth is that Islam persists in its vile antisemitism while the Christian world is partially under control except for strong pockets of hyper-leftism in the churches which translates into renewed antisemitism via anti-Israelism. Wherever Muslims and the religion Islam crops up in a society, misery follows. Islam is a religion that spouts HATE from the pulpits of the mosques to the political leadership. The object of Islamic hate is Christians and Jews and all other people Islam calls Kafirs which means non believers of Islam. Islam lacks the basic tenant of Christianity. That is LOVE of fellow man. Islam demands obedience, that is to say you Muslims OBEY, our book (Koran) or suffer the consequences which is or else. And that means "Or we will kill you." Without a doubt there are a lot of peaceful Muslims who go about minding their own business. But when PUSH which comes from the Islamic and political leaders comes to SHOVE, most followers of Islam roll over in FEAR of the dire penalties that can happen to them but a large majority actually participate in the savage oppression of Non Muslims Islam has one goal and that is to RULE THE WORLD under Sharia law much like the mullahs rule Iran. The only safe policy on Islam for any nation is to exclude all Muslims from their lands lest they be eventually terrorized and conquered. It is in their Book to rule the world. Is it any wonder then that Nazism, Fascism and totalitarian governments tend to go softly on Islam and in many cases, as Hitler did, collude with them? The enemy of my enemy is my friend! "Is it any wonder then that Nazism, Fascism and totalitarian governments tend to go softly on Islam and in many cases, as Hitler did, collude with them? The enemy of my enemy is my friend!" Richard, you might have included Communism and the Democrat Party with the colluders. The Democrat Party and Secular Humanists are at war with Christianity just as Islam is and so they and their staunchest adherents use Islam as their surrogate. This however is a very bad idea because when Islam reaches critical mass in any jurisdiction they pull out their long knives and first go after the most depraved individuals they can find. And that would not likely be the Christians or Jews, would it?! The leadership of the Democrat Party should be very careful of cozying up to Islam, lest they redux the fable of the Scorpion and Frog crossing the river. Islam, like the Scorpion will finally say, "Don't blame me, you have always known that conquering and killing is what I do!" 'To be effective, however, these policies must include conducting an honest and open discussion of the history and doctrine of Islam, as well as its contemporary iteration, not as a "religion of peace." Precisely. European politicians know little about Islam. All too often they appease. Also they fail to understand the political nature of Islam. "European politicians know little about Islam". I do not think so ... they can't be so stupid. The game is on and they are playing it. Their behavior stems from no ignorance; they are willfully destroying their own nations. There is no peaceful solution to all this treason. At some point, violence will erupt - it is hard to tell what will be the fatal "trigger". Europe is simply on a cusp of very dark times ... again, after a short peace interlude. Thank you for your post. I think that a few politicians understand the hidden plan that they are implementing. I fear that the rest are genuinely ignorant and believe the party line. Many politicians have no genuine understanding of Christianity and lump all religions together. My last degree was in Arabic. I found it surprising that many Muslims are ignorant about their own religion. They know what the imams want them to know. I totally agree with your last paragraph. Maybe the Muslims hate the Jews so much because their religions are two sides of the same coin. Christianity is completely different which is why it is being attacked by both sides. I believe that rather than being the other side of the Jewish coin, so to speak, Mohammad attempted to hi-jack Judaism and in doing so, Christianity also. When Mohammad began his preaching in Mecca he spoke to the Jews and I believe tried to present himself as the Jewish Messiah. He stole the Jewish history and parts of their Torah. The Jews, of course, would not, could not accept Mohammad as a Prophet to the Jews because not only was he not Jewish but he knew little about Judaism. He was rejected. He decided then to destroy them, firstly in Arabia and then wherever Judaism could be found. Even now the Muslim world is attempting to steal the history of Israel and the Jews. Now it is aided and abetted by the UN and the EU. Thank you for the article. I like to make one remark on the term "non-Muslims", as used in the sentence ....to safeguard the religious liberty of both non-Muslims and non-extremist Muslims....". I am a Christian, not a "non-Muslim". My identity, belief and thinking is far away from Mohamadnism, it makes no sense to refer my belief as a non-Muslim. It makes me feeling lampooned. Just ordered the Kindle version of 'The Legacy of Islamic Antisemitism: From Sacred Texts to Solemn History '. Gatestone is the best daily newsletter in the world. Thank you Gatestone. Every religion has the possibility of creating extremists as foes the ideology of regressive liberal socialists. It is occurring in the Middle East because of the lack of genuine reformation resulting in economic, social and even environmental stagnation. The peculiar thing about Islam is that it has made this part of their religion, realizing full well at some level of leadership it spreads the seed of their own destruction. What is even more remarkable is the regressive liberal socialists in the west who serve as apologists for Islam and brand criticisms based on actual facts, historical or on going observations Islamophobic. Such is the state of denial of regressive liberal socialism and the false positives their ideology shares with Islamic extremism they actually believe the Islamist narrative. In part because their own ideology is couched in denial and the false belief human history is always progressive, on a progressive dialectic curve and expressed in writings like Karen Armstrong's the History of God which assumes that because Islam comes after Judaism and Christianity falsely concludes that the Muslim narrative is a synthetic result or progressive result of religious history. Islam has nothing to do with Christianity or Judaism. In fact these clear statements by Turkish religious commissars is more honest than beliefs propagated on US University campuses where one can hear Islamist's and Marxists preach that Islam is the outcome and progressive expression of Judaism and Christianity. Marxists have mistakenly decided religious history progressed with Islam which they seem to believe is a form of "revolutionary" expression of Judaism and Christianity, and socialism. I fact Islam and Western socialists are in the same regressive boat peering over the stern looking backwards and have the false assumption they are looking forward.